This folding knife from Elite Force is made from tough materials to produce one tough finished product, with the handle made from aluminium and the blade from 440C stainless steel. 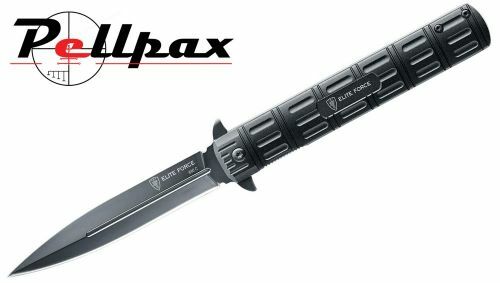 The blade can be easily opened by the use of two flippers, and the liner lock mechanism ensures it is stable once opened. The belt clip is also removeable. Add this item to your basket & spend an extra £486.01 to apply for finance.